Dreaming of retiring to a beach with your own ocean-front villa? 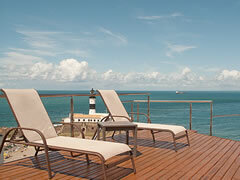 Thinking about buying an apartment in Salvador for your holidays? Planning to purchase an investment property for vacation rentals? It is not as difficult as you might imagine, real estate in Salvador, Brazil is extremely affordable, and all indicators suggest that now is an excellent time to purchase property in Bahia. Our real estate sales department features Salvador’s first multilingual real estate listings database with high quality photos, prices, location maps, property details, and even virtual tours of selected properties. We work in partnership with other real estate agents and agencies in Salvador to offer a vast listings database with properties of particular interest to non-Brazilian investors. 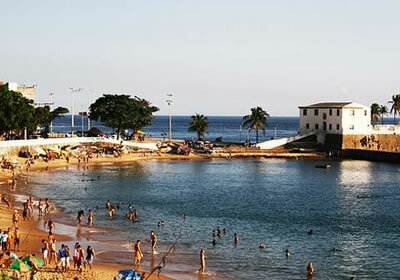 Discover for yourself the joy and freedom that comes with renting your own furnished apartment or flat in Salvador, Bahia, Brazil. Our vacation rentals department is unparalleled in Salvador by featuring a safe, secure online multilingual vacation rental reservation system. We provide our users with complete rental listings including: high quality photos, prices, real time availability, location maps and even virtual tours of selected properties. Feel confident that all details of your vacation rental will be handled with the professional touch of our multinational vacation rentals team. 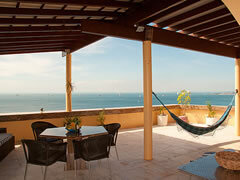 Experience Bahia... and the Freedom of your own apartment in Salvador! Whether you are interested in vacation apartment rentals or purchasing real estate in Salvador, Bahia, Paradise Properties Bahia is here for all of your real estate needs. We are the first real estate agency in Salvador to cater specifically to tourists vacationing in Salvador and non-Brazilians buying real estate in Bahia. Paradise Properties Bahia is a multinational group of licensed real estate agents experienced with property transactions in Brazil and abroad. Together with our local contacts we offer a unique set of services for non-Brazilian investors and visitors to Salvador.